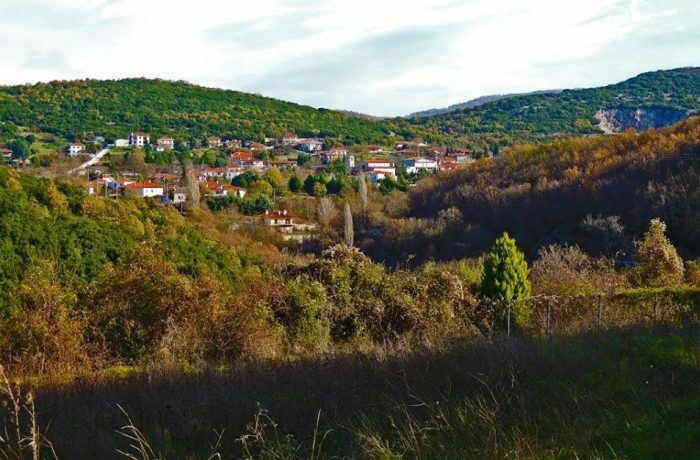 Palaiokastro village is laying on the mount of Holomontas, is 6 miles away from Polygyros. Its population consists of 350 residents. The villagers’ main occupation is agriculture and timber. The region sights are the Palaiokastro -Agia Paraskevi’s touring route as well as the remarkable traditional settlement of the village. The residents of Palaiokastro maintain the customs of their land. They have many local festivals which celebrate all year round. On January, the 6th, when the Greek Orthodox Church celebrates "Epiphany" or "Theophania" -meaning the manifestation of God- there is a famous feast that takes place every year at the village. It's a local costume that dates back thousand years.